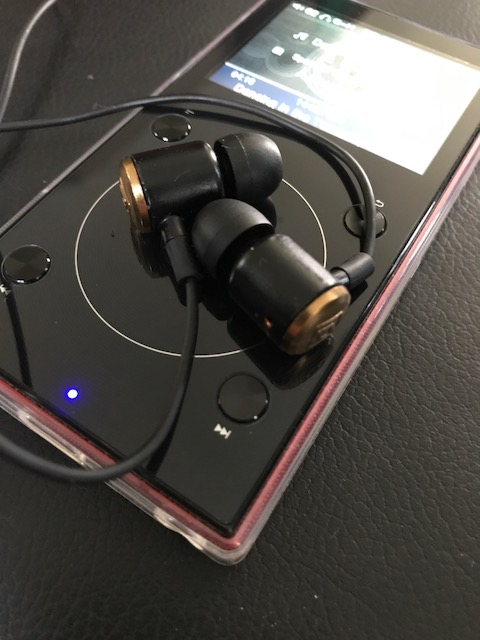 I've been using these IEMs (Be) for about two weeks with Fiio x5III mostly, and I have to say, that they are simply wonderful and proved to be a great upgrade for my sennheiser ie8 (tried various middle-end iems before, including hybrids etc. but those did not come even close), having similar neutral-ish signature, but being more detailed and "juicy". Very tolerant to a source and music mastering quality. Sound becomes more open and natural with eartips, that have wider nozzle. Thank you for the great job, guys! awww man, I wish I made it to SF Head-Fi meet to at least visit you! Would've love to given the BE a listen! Exactly how I feel. I switch between spirals and comply depending how much bass I want. The bass on comply tip with bass boost can hammer your brains out. They can handle a lot of power . I think the best part about the be is the midrange. The voice is very nice and present. Hey, @DanWiggins I noticed that Periodic IEMs have started appearing on the site of an online vendor, but there doesn't seem to be a list of authorized online vendors on your website. Could you please let everyone know which online vendors are authorized to sell your IEMs? Thanks! RIght now it's Miyaji Music in Japan, Channel Islands Audio in Oxnard, CA, and World Wide Stereo. There may be others out there who are affiliated with the aforementioned companies, and there are several new dealers that will be announced in the next few weeks. For the record, we do NOT allow dealers to be "online only". Every dealer of our product needs to have an actual storefront where customers can walk in. They can sell online too - but they have to have a physical presence. The brick-and-mortar dealers built the hi-fi industry, and a good listening room and a variety of systems is still, IMHO, the best way to demo and evaluate potential new purchases. In-home is great too - but sometimes you'll miss synergy of systems that educated, talented dealers will already figure and work out for you. Sometimes a particular 'phone or speaker will sound flat on one amp - and sing on another. Thanks for the info! I admire your philosophy of selecting online vendors. Meet-ups and audio conventions are better than nothing, but they don't come close to taking your time in a well-appointed brick-and-mortar store with a knowledgeable guide. And, personally, I like to put my money in the hands of entrepreneurs whenever possible. I'm especially eager to hear announcements of dealers in the EU. In London there is one in particular that seems like a good match for you, and I'm hoping you'll turn up there. I had the MG for a month and they are amazingly good. The Periodic are outstanding in terms of clarity and separation. I'm hearing details that had escaped me for years. Would love to hear the BE! Looking forward to the v-shape! What's the nozzle diameter on these? At a glance I'm guessing 4.5 mm (Comply 400s)? I have a honest question when I read this: how do you deal with countries where dealers use the "hygene" excuse to refuse ANY demo of IEMs in stores ? I'm asking because there are a number of EU countries where (including France) where ALL shops (including audio shops) refuse to let you demo IEMs, which is a big hindrance to make people invest in "higher-end" IEMs. To me, the hygene issue is not an actual one, but a convenience thing: come on, they let you try ANY headphone that have worn by countless people with dirty hair/ears and they don't even propose wipes to clean them before demo-ing. But they don't let you demo any IEMs even you come with your own tips and some antiseptic wipes? We provide plenty of extra single-flange earbuds to dealers so they can do demos. If a dealer isn't letting you try them because of hygiene, I'd love to know because I'd send them another few hundred of each size. When you buy silicone tips by the bucket-load (well, 25K per size at a time), you get a pretty good price and it's small money to let consumers hear the products. IIRC dan has said they can use either the T400 or T500 size. I ordered some T400 to try out with these and my Campfire Audio Vega. BTW, the periodic Be's sound holds up very well against the Vega despite being 1/4 the price. Correct T400 and T500 for Comply. CP100 for SpinFit. Sizes 4 and 5 from http://www.earphonesplus.com. If there are other vendors people would like to know about, let me know I'll dig in and figure it out! The cable isn't my favorite cable ever, but if it holds up for its 5 year warranty, I'll be pretty happy with it. I wish it would straighten out easier, though. I've been listening to these a good bit the past couple days.. they are some fun sounding IEMs! I'm enjoying these a lot. And at the end of the day, that's the goal. If you have fun, if you enjoy listening to music - then it's a good product. Measurements are a great way to capture what you are doing but I'm not a big believer in that they should guide where you are going. Listen to the product, and if it moves you - it's right. Just came in from a long walk with the Be and X3iii. Great pairing. I keep saying it but these are really a great piece. Very balanced with a touch of warmth. Light-weight and easily driven. Thank you Dan.